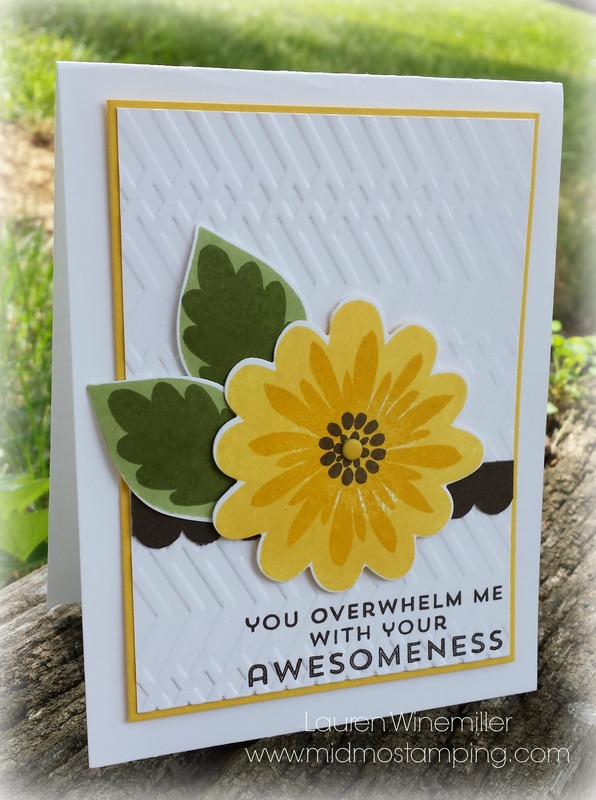 I used Mary Brown’s card as my inspiration, and I added an extra layer of Daffodil Delight to compliment the flower. 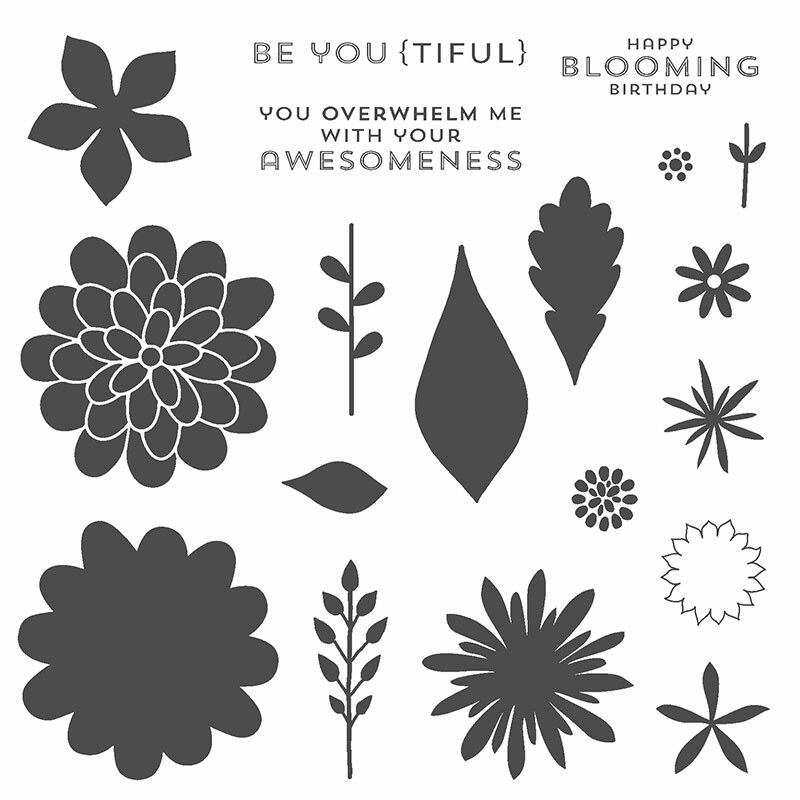 I used two of the NEW embossing folders from the 2014-15 Catalog, and added a little candy dot for the flower centers. If you are looking for a photopolymer stamp set to buy–this would definitely be my recommendation!